Enjoy pleasant evenings at the Country Inn & Suites where each hotel room features home comforts like a microwave and refrigerator. Curl up on your comfortable bed and watch your favorite TV show or a movie on HBO or HBO Plus. If you need to get some work done, pull up to the work space and hop online using free high-speed Internet access. In the morning, you can wake up to your first cup of coffee made with your in-room coffeemaker before heading to the Museum of Aviation at Robins AFB or exploring downtown Warner Robins. 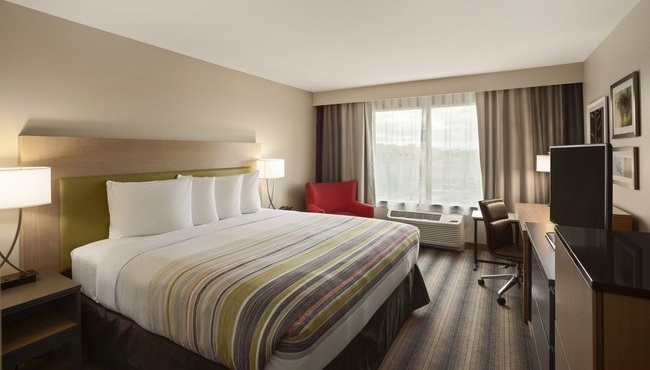 Choose between a king bed or two queens in our Standard Room that features all standard amenities. 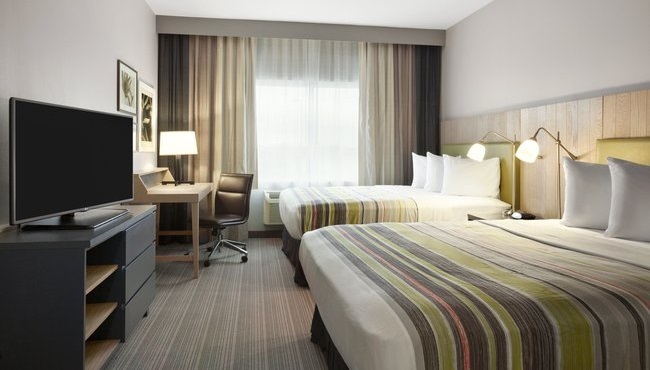 When you're looking for extra space, book our One-bedroom Suite with either one king or two queen beds. Book our Whirlpool Room for that special occasion or if you're simply wanting a little something extra. Ideal for extended stays or business retreats, our Presidential Suites are the largest of our guest rooms. View our guest room floor plans.